Every year, when Valentine’s Day rolls around, we’re compelled to go out to buy and enjoy chocolate with the ones we love. But why? What is it about chocolate that identifies it so powerfully with romance? And is it all in our heads? Well, yes it is - but necessarily how you think. The truth is, there are actually scientifically based reasons behind why chocolate is our go-to for Valentine’s Day and the romance around it. There are naturally occurring chemicals in chocolate that are good for you and the darker the chocolate, the higher it will be in substances associated with physical and emotional well-being. 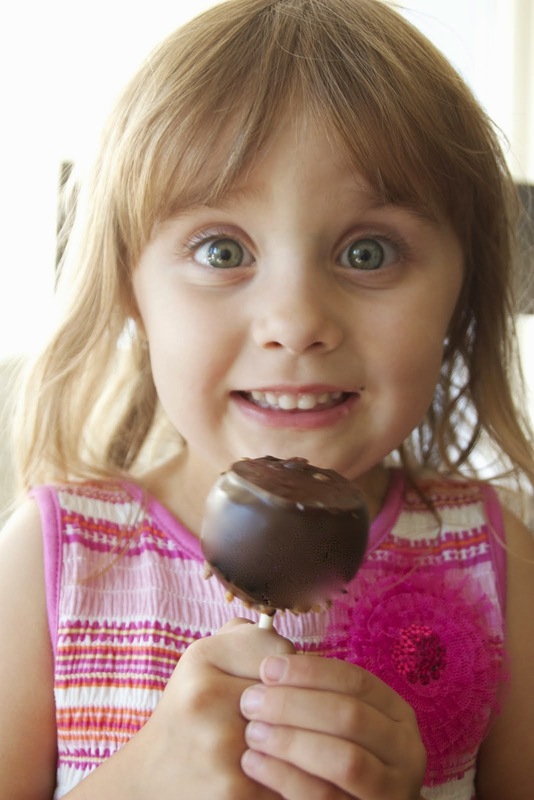 One of those substances is theobromine, which is found in larger quantities in chocolate than any other food. It’s a gentle stimulant, that as well as increasing blood flow also increases serotonin, it’s also a neurotransmitter known for igniting feelings of love and romantic pleasure. Another one of chocolate’s powerful components is phenylethylamine, which stimulates the body to release endorphins (feel-good neurotransmitters), and also increases the activity of dopamine, the body’s reward chemical, combining to produce the kind of feeling that you get when you are in love. And the latest happy-making component to be traced in chocolate is anandamide, a cannabinoid whose name is derived – with good reason – from the Sanskrit for “bliss”. Just those two components alone make this treat a superfood to be enjoyed. It literally releases the necessary hormones necessary for you to reduce stress and feel good. So fine chocolate looks good, smells good, tastes good, feels good in the mouth, and contains things which make you feel good. But let’s not just talk about how it’s so good. Let’s instead make the best of it and be sure to enjoy it in it’s fullest possibilities! This year for Valentine’s Day, in addition to all of our delectable custom baked cakes and delights, we’re adding chocolate covered strawberries to your feel-good, romantic experience! 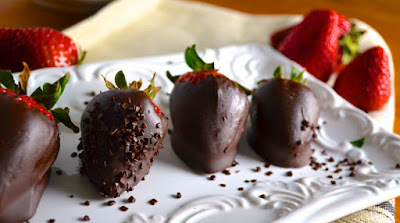 You and your love will simply melt as the chocolate shell cracks on your tongue, revealing the fresh strawberry juice and bright refreshing texture of nature’s candy coated with nature’s “feel-good” superfood. This year, enjoy Valentine’s Day with the best chocolate treats you can find, from the family owned bakery you know and love, Ontario Bakery. 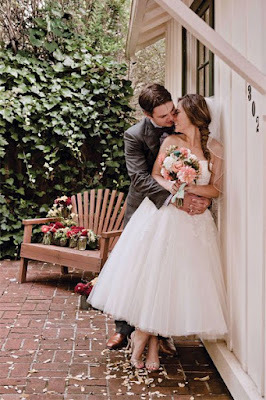 We can’t wait to make your special day full of love, flavor and delight! As you shiver in the cold of winter, it’s easy to find yourself daydreaming about the beautiful wedding day you’re so eagerly planning. And if it’s a spring or summer wedding, you’ll likely go there more often. You think of all the flowers, the smell of the grass, the sunshine and all the happy faces you’ll be surrounded by. But then a thought creeps in and reminds you of all the little details that are still left to figure out and a sense of panic settles in. You don’t want to mess up a single thing; you want this day to be perfect. But how can you know it will be? How can you make sure you’ll have the wedding you’ve dreamed of without the stress and with all the happily ever after details? You think about what could go wrong, what could go right and you plan accordingly. That’s right. It’s not as stressful as you might think! However, one very important planning tip that I want to leave you with today is to let it go. Don’t let go of the planning and the details, but remember that even if things don’t go exactly according to plan, the day will still be beautiful if you focus on the point of the day. Think of a wet bar of soap. If you’re so afraid of dropping it that you squeeze it hard to keep it in your grip, it will fly out of your hands. So hold it palm up, strong and steady. Do that with your wedding and you won’t lose sight of the beauty of the day or of all the things that are going right. 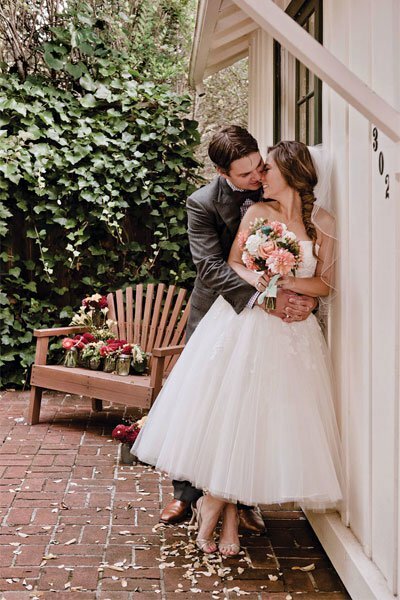 Now that we’ve cleared that up, let’s talk about the most important details for making sure your spring wedding is as dreamy as you imagined it. We all know you’re hoping for a bright sunshiney day, but the truth is, you never can know for sure if that will happen, even if you live in California. Spring has a way of being unpredictable. Plan ahead and play it safe by choosing a venue with indoor and outdoor options. Make sure to alert your guests to this possibility as well so that they can come prepared. Speak to your venue director about lined paths, tents and awnings as well. You don’t want your reception or walk ways to have any mud on them and you definitely don’t want people or things to get wet! It's spring, and as mentioned above, rain can happen. Why not stock the wedding party up with transparent umbrellas? You can assign ushers to walk people from their cars to the venue and to the reception as needed and it will all be very charming! If it rains, you'll be covered. If not, use them in the photos to remember your beautiful day! While pastels are almost always the first colors on our minds this time of year, spring weddings are great for punchier palettes, too. Bold, bright fuchsia is a particularly lovely way to set the tone, and the perfect complement to all of that fresh green grass — as are yellow, coral, and blue. Be sure to use complimentary colors to your wedding party and bring them into the flow of the ceremony and reception decor through simple seat and table ribbons! Spring is a time of lightness and excitement. So let the food match. Stay away from heavy entrees and desserts and go with more fresh themes that feel light and easy on the belly. Your guests will be delighted that they still fit in their gorgeous gowns at the end of the day or evening! It’s time to sit back and be excited that your special day is coming so soon. Keep a checklist and check it twice, then let it go with grace; you're prepared! And Ontario Bakery is happy to meet your custom wedding day needs; so contact us today! Simple Storage Tips To Help Your Saved Sweets Stay Fresher, Longer! We all love those baking marathons and celebrations with a dessert spread that goes the length of your home. There’s so much to choose from! But what do you do when you’ve had enough but don’t want to lose the good stuff? All you can do. You need to become a pro at saving the leftovers. And that’s exactly what we want to teach you today. There are just a few things you need know to be the master of sweet saving. 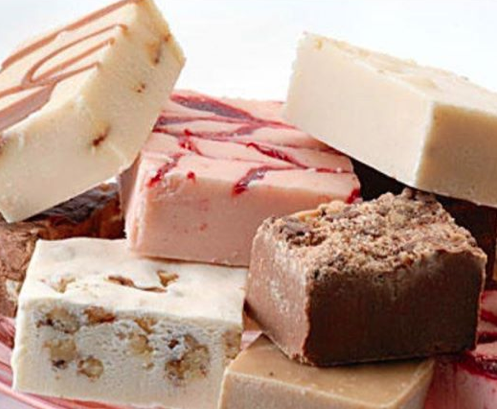 For frosted but uncut: The benefit of having a frosted, uncut cake, is that the frosting serves as a protective plastic wrap layer, keeping it protected from the air and moisture present in the environment. A frosted cake can be kept at room temperature for about 4-5 days. To keep it moist but also preserve frosting, cover it with a cake keeper or an overturned bowl. (don't use plastic wrap at all. It isn't necessary and would only smash the lovely frosting). If the cake has already been frosted: You really need to think of a sliced cake as a living organism. As soon as you make that first cut, your cake will begin to loose moisture, causing the cake to go stale more quickly. If you are able to, try to cover the sliced edges with more frosting to protect the cake from moisture loss. The frosting will work as a seal. If you can't do that, press a piece of plastic wrap directly onto the sliced side and make sure it sticks. Then proceed with covering and storing the cake as for the un-cut version. Cut cake keeps for a little less time, about 3-4 days. 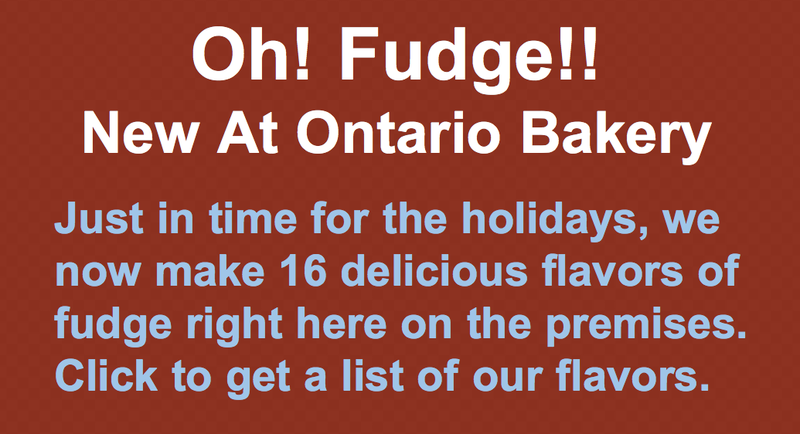 We at Ontario Bakery, know cakes more than just about anyone. We’ve been baking and serving cakes and other treats as a family for over 30 years. So not only are we passionate about what we do, but we’re the experts too! So call us, let us know how we can custom create a cake for you, and we will get it made just for you!